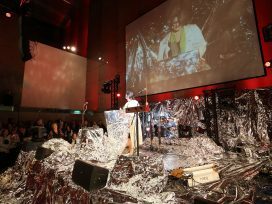 ArtLeaks founders Corina Apostol and Dmitry Vilensky discuss what lies ahead for the grassroots organization, in terms of revealing and resisting the toxic symptoms of neoliberalism in the cultural sector; not to mention creating a better (art)world. In 2011, ArtLeaks1 emerged as a collective, grassroots platform initiated by an international group of artists, curators, activists and art historians in response to the intense abuse of cultural producers’ professional integrity and infraction of cultural producers’ labour rights. We considered the politically responsible course of action was not simply to let such abuses go but subject them to public inquiry by posting them online. The suppression of debate around conditions of exploitation in art production and the politics of corporate and state sponsorship were deeply troubling to us. 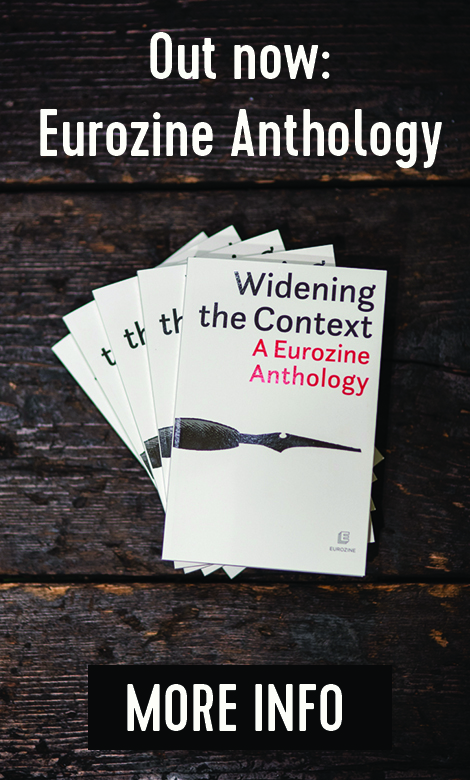 As our platform gained more experience over its first year of existence, we began to articulate more clearly that we were not dealing with particular cases of abuse, but general conditions of inequality, precarity and repression that were, indeed, globalized. Our activities as ArtLeaks focus on the one hand on publishing “leaks” of cases from different parts of the world, which we submit to the public for debate and open inquiry into bad practices. Our goal is to bring these cases to light within a broader socio-political and economic context, not dissociating the art world from the bigger picture.In June 2011, we also began to organize public assemblies around local contexts and global concerns.2 The choice of location depended on the one hand on some of platform founders’ connections to certain scenes, for example some of us are currently living and working in London, Moscow, New York, Belgrade; and on the other, on invitations we received to take part in artistic-activist initiatives. Our assemblies and workshops functioned as consciousness-raising forums through which we tried to connect with local actors fighting similar struggles, and with any cultural workers who had experienced abuse and felt ready to join us in formulating strategies on how to make meaningful changes in the future. Then, in May 2013, co-founders Corina L. Apostol, Vladan Jeremic, David Riff and Dmitry Vilensky published the ArtLeaks Gazette,3 through which we aimed to reflect more critically on the forms of precarious labour, repression and exploitation that occur in the arts and culture sectors around the world, and how alternatives have been formulated historically and continue to be developed today. Until now, we have not been funded or supported by any external institution or foundation. We decided to keep the project as open as possible to anyone who is prepared to contribute, and not subordinated to private or state interests – following the model of a grassroots initiative. While this decision makes the platform more vulnerable, unpredictable and indeed “precarious”, we believe this has also been a strength and an expression of confidence in a better (art)world. When invited to contribute to the current issue of Frakcija, we decided to push these concerns further in the direction of models for new institutions and ways of collectivizing artistic labour. While we cannot provide perfect solutions under variable conditions determined by legislation and practices that regulate the flow of resources and opportunities, we would like to address questions like, what happens under circumstances where one cannot pay or doesn’t get paid? How to organize across categories such as “artist” “curator” “critic” and other less visible workers in the art system? How to find a language to talk about common problems and articulate demands collectively? Most importantly, our modest initiative aims to show that the state of things is truly horrible, and that only by exerting pressure together, can we make a difference. With this in mind, we will raise these concerns in dialogue, drawing both on our experiences with ArtLeaks over the last couple of years and our practices in the field of contemporary art. Corina Apostol: I would like to begin with your work within Chto Delat? (“What is to be done?”),4 which you co-founded in 2003 in St. Petersburg, Russia. In the past ten years you’ve acted as part of this collective of artists, activists, educators in Russia, dedicating a lot of time and resources to building a critical context. While perhaps you were not able to build it institutionally in your context, you constructed it with ideas, discussions, screenings, publications. You insisted that from the scarcity of your means of production, you could still achieve an autonomy of working outside institutional frameworks and the profit logic. How do you position yourself strategically in this context – living in an authoritarian society without being cynical? Dmitry Vilensky: Yes, it is true that in Russia we still stay outside of almost any institutional framework. That is why our local trajectory of development is more about establishing a type of counter-institution. And I hope that we actually managed to create a space of, so to say “engaged autonomy” that shares a lot of qualities with a proper institution. We created through intense and long process of collaboration with different people a very strong and relatively large network for the production and distribution of our work, we have our own economy which has channels of redistribution in the form of the Chto Delat? fund, which we use for the support of our activity outside of institutional support and which also supports a different range of activities of our local artistic-activist communities. The fund is raised with the money we get from our regular art activity (screening fees, donations from productions and so on). Most of our partners in Russia operate outside of the art world, and actually we always conceived of the intelligentsia as our targeted public (or people with basic civic consciousness). We were never afraid of staying outside the very cynical and senseless part of the art world, and at the same time maintaining a certain pressure on it through our growing international recognition. This is a strategy which has helped us operate for the last 10 years and attain bigger visibility and audiences. CA: Your work is a powerful critique of the neoliberal world, with all its fake dreams and selling out, and its promotion in art and culture as beneficial. A critical issue that artists are forced to face today is that art has become normalized as a commodity. This situation is very different from the beginning of your artistic career in the 1980s in the Soviet Union, when dissident or nonconformist art was more about ideological struggles and autonomy from the state. How do you now negotiate this relationship between art and the market? How do you see this affected your activities over the last 10 years? And also, as someone criticizing issues common to Europe and the West, and not only directed towards what is happening in Russia? DV: I think that after 10 years we learned that ideological struggle is getting more and more complex and nuanced, but it is nonetheless brutal. Complex in a sense that it takes place outside of any real political ground and it is culturalized more than ever. And brutal in the sense of deploying any possibility of real political change. These complexities are actually revealed in your question when you speak about “commodity normalization” – yes it is true that any art work could be bought and sold, even totally dematerialized ones, but the big paradox is that the so-called “99%” of art production will never find its market. It is an enormous production of waste and excess and that’s why it is so exciting. Also, I do not think that before art was more about politics and ideology than today. In my view, most artistic production after the 1960s internationally was (and still is) not implicitly political. Even intellectually it could not reflect its political potential, yet it was instrumentalised during the Cold War – but that is another story which has no direct relations to art’s politics. For example the issue of labour in art was not really discussed at all a decade ago (we all make references to the Art Workers’ Coalition).5 To speak about art & labour sounded very strange and only now with all the proliferation of creative industries and economies it became a rather hip topic. What do you think, how far does this issue relates to politics or is this a more or less conventional struggle on economic rights, which has its obvious limits? CA: Today, there are initiatives such as W.A.G.E. (Working Artists and the Greater Economy)6 in the United States, an activist project which is trying to regulate the payment of artist fees by nonprofits and to establish a best practices model for cultural producers and institutions. I could also mention a platform spearheaded by Evgenia Abramova in Moscow,7 which deals with the legal rights of cultural workers in contemporary art institutions. 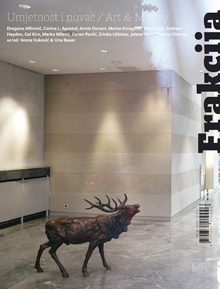 And we recently published Fokus Grupa’s study “Artists’ contracts and artists’ rights”8 in the ArtLeaks Gazette, which historicizes cultural workers’ attempts to control and define the conditions of their labour and how their art is instrumentalized, from Gustave Courbet to Kazimir Malevich, Adrian Piper and Seth Siegelaub. While these are, of course, very valuable initiatives with which we as ArtLeaks continue to collaborate, in my view our activities are also directed towards revealing and hopefully resisting the toxic symptoms of neoliberalism in the art and cultural sector (such as the instrumentalization of culture for purely commercial gains, endless volunteerism or unpaid internships, self-precarization, (self)censorship, the evacuation of culture from the political), that is inside the so-called “totality of capitalism.” Rights and fair payments are just a piece of this larger picture. It is not enough to demand fair treatment defined in ethical or economic terms, we have to address the violence of the system as a whole. I believe ArtLeaks provides an opportunity to take a risk, leave out political politeness and speak up, to address the root of these problems. I also want to emphasize that self-censorship in contemporary art is a constant struggle, as it is embedded in our thinking, in the institutions in which we work, in our social relations. For me, it has become necessary to explore practices of art activism, interventionism, institutional critique, to develop a critical art practice that reacts/acts in the very problematic spaces in which we work, from museums to Kunsthallen, galleries, festivals and through which we reach our audiences. I want to turn to a concrete example regarding institutions, namely one of your latest projects with Chto Delat? : “You don’t have to be leftist to think like that – An exhibition as a school” (2012)9 in St. Petersburg. As you yourself stated, the project used the format of workshops, lectures, roundtables and exhibitions to create situations and spaces for cultural workers to engage in emancipatory politics and counteract culture’s commercialization. The project carried a critique of the notion of institutionalization and was aimed at the local audience as a form of awakening consciousness, and I would suggest, as a model for a using the conventional exhibition and discussion format as a structure for political subjectivation that challenges our expectations of what an artwork or exhibition could be. And I believe it is particularly urgent and difficult to produce such a project in Russia, where we see the absence of a civil society and where the authorities blatantly encourage reactionary forces and their violence. At the same time, I think such a project is also relevant to contexts where public places are disappearing and even art schools cannot provide shelter against commercialism or corporate interests. How to maintain a certain freedom in thinking and building ideas? DV: I do not use so much of this word “freedom” because we have some troubles with how this concept is (mis)used. Art is not about freedom – it is about the urgency and inescapability of some liberation work and struggle. In my view, today the struggle for people’s liberation must also happen inside the commercial and corporate landscape, simply because we do not have many other spaces where real change is at stake. Realistically speaking, we are limited to what you correctly called “consciousness raising” – but it is a too abstract term – we always need to explain: What kind of consciousness we want to promote? We think about singularities that could enchant the world with new meanings, that could be concerned about the commons, capable of collective doings, of care for the Other, that resist any forms of oppression. We need to unlock people’s dependence on the economic pressure of bare life and survival. CA: I agree with you that art is not only about freedom, but I also draw on the experiences of dramatic socio-political transformations in Romania that began in 1989: revolution, democracy, the passage from so-called “communism” to capitalism. For my generation this brought a deep political awareness, which Dan Perjovschi poignantly captured: “Before the 90s we talked about freedom, now we talk about money.” So for me “Freedom” still carries this radical connotation. And even though I have been studying and working in the United States for over eight years, I still feel compelled to return home and to accept the challenges of the environment in Romania, where neoliberalism is in full bloom, the intelligentsia is almost entirely rightwing, galleries and the market claim hegemony. I think it is not coincidental that a significant part ArtLeaks’ constituency comes from this context: The Bureau of Melodramatic Research,10 PostSpectacle,11 Paradis Garaj,12 Raluca Voinea13 our co-founding members – represent a handful of artists and critics from the so-called independent scene in Bucharest (that is they do not work for any state institution but have developed an alternative way of implementing critical projects through outside support) who are tired of the greed, stupidity, obedience and lack of critical discourse they see around them and want to change things in the culture. DV: Turning now more to ArtLeaks, how far do you see it becoming an institution, how should it operate and what kind of constituencies should it create in the future? CA: When we launched ArtLeaks, it was important to us to use our real names and make concrete demands, to take responsibility and not make it leaderless project like we have seen with Anonymous or the Occupy Movement. We also emphasized the international scope of the platform, and its goal to unite not just artists, but also curators, critics, philosophers, activists – which we identify as art workers or producers. Also, similarly to our archive of “leaked cases” that can be consulted online at any time, Bojana Piskur, of the Radical Education Collective and curator in Moderna galerija, in Ljubljana, together with Dorde Balmazovic, a member of the Skart Collective, Belgrade, have put together a research investigation “Cultural workers’ inquiry” (2012) based on Marx’s “A workers’ inquiry” and concerning the position of a handful of cultural workers in Serbia. It can be downloaded from our site and there you can read a lot of straightforward testimonies of blacklisting and corruption provided by the participants. And even though the art world is like you once remarked “like a big family” where everyone more or less knows each other, in some of our cases cultural workers used a collective, anonymous identity to blow the whistle and they were successful – for example, the case of the “Unknown Artists” who were protesting against the exploitative gallery system in Los Angeles and only used our website to post their stories via an anonymous, collective name. It was equally important for us to keep the project open for participation to anyone that expresses solidarity with our work and feels the urgency of the cause. At the same time, I have to admit that our constituency has not changed a great deal from two years ago, although we have received many declarations of support. However, I noticed how after our Assemblies some local activists developed their own platforms, borrowing some ideas from us and adapting them for their local struggles. 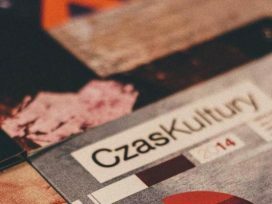 For example the “Call Against Zero Wage” which criticizes Czech institutions’ treatment of cultural producers,14 denying them fees; or more recently the Ragpickers collective in London,15 which unites student and intern dissenters of the exploitation and corruption in the local contemporary art sector. This is a great encouragement for us, and we hope people will continue stealing ideas from us and using them for the good. I also see ArtLeaks drawing on a long line of important initiatives beginning with the nineteenth century when the French Realists called themselves art workers and activists, and when art and politics were bound together, to the early twentieth century Constructivist movement in Europe and Russia, to the Art Workers Coalition in the United States during the Vietnam Era, The Guerrilla Art Action Group, Art & Language and others. Although genealogy of institutional critique seems to have been historicized, it still holds relevance and inspiration for us, in the sense that for us the museum, the exhibition space, are still battlegrounds for struggle and conflict, which we should not escape from but engage with, challenge, transform into spaces for the common. Currently, ArtLeaks remain a grassroots organization that is not registered or based anywhere, and I think this brings flexibility and potentiality for the project to remain open for broader participation, but it is also a challenge to keep it going. Today there is a great momentum in establishing these activist projects that are about solidarity and emancipation, but I find that in the end, they rest on the efforts of a small group of people who do the groundwork to make things happen. I would like ArtLeaks to develop more in the direction of joining forces with other international actors to expose not this or that bad situation but reveal the mechanisms that perpetuate a system that we all agree is broken and abusive. And to build awareness that these mechanisms are not exclusive to the art world but they are also governing our every-day lives, our societies. I think we are still at the beginning in this respect. DV: I totally agree with what you said, but from my experience of artistic life these tasks demand a much higher level of institutionalization and accumulation of resources. The problem is that grass-roots politics have certain limits. Yes, it is very important to maintain a fidelity to non-hierarchical structures but when we start to think about a real counterhegemonic struggle which could make a difference, then we need to acknowledge that we require serious professionalization, division of labour, head-hunting and so on. So for me the biggest question is how to build a position of the institution which could not simply embody a model of counter-power but reinvent the whole idea of the force? How would you describe the parameters and protocols of this new type of institution? CA: ArtLeaks initially had rather modest aims that were achieved through symbolic counter-power and solidarity. And I think that is a good place to begin: after all, even the workers’ soviets which Chto Delat? grounds were a grassroots effort to practice direct democracy and organizing against the Tsarist state. Activist groups engaged in similar struggles, for example, Precarious Workers’ Brigade in London,16 Arts&Labor in New York,17 Haben und Brauchen in Berlin18 and the May Congress in Moscow maintain fluid membership and loose hierarchical structure, making a difference without institutional support or funding. But it doesn’t follow that they don’t have any resources – if you think of resources not just as capital, but also as key people, of experience, activist know-how, organizational knowledge etc. They are reacting against the limits of institutions and the need to re-think them, rewrite their missions, fight against proliferating repression and tacit abuse – the cultural side-effects of neoliberalism. The latter are almost unacknowledged by the proponents of “new institutionalism” in Europe. In my view, these curators and critics are too focused on readapting past models of democratic, engaged institutions that could subvert the global capitalist logic.19 But no one really takes seriously the exploitation that grips deep inside critical institutions’ constituencies. If we fail to address the condition of the many others who endure even more abuse and humiliation, of the sweatshop practices in art institutions, then we are just scratching at the surface. 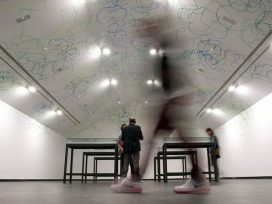 We easily forget that the art world is not only about artists, critics, galleries and markets but about the people who clean the floors, guard the space, move the art works, and do all sorts of uncompensated work from unpaid translations to volunteers serving wine at openings and managing at the reception desk. One issue which is more to the point of your questions, is what if we consider art world itself as its own battleground and at the same time a catalyzing agent engaged with social movements today? I think a struggle that is solely within the art world and art institutions is not enough, but we need a much larger sense of political solidarity, where by cultural producers join other oppressed categories and assemble. To summarize, this is my proposal of what we need and what we already have: activism as an attitude for social and political change that challenges the neoliberal order and the rise of the far-right, counter-economies to enable us to make our project with some autonomy from the state and corporations, institutions based on models for socio-political subjectivization, to communicate ideas to diverse publics, to be a base for resources and active structures, strategies for mobilization to achieve our goals, education and self-education to achieve greater equality and wealth for all, to help disenfranchised peoples achieve their full potential, structures to organize the information that we need, to understand ideas, conceive projects, a common language of thinking, asking, analysing, identifying how we can undertake actions in common, to cross boundaries and to think across borders, we need more empathy and care for the other in a broad sense. I am curious to hear what your plan of action would be. Under what circumstances do you think that a struggle of cultural producers can become a model for an alternate force that is reactive to social needs and is a real resistance to the mainstream, of the dominant power? DV: I have some reservations about what you said – everything sounds very good and appropriate but it somewhat lacks a concrete material base. Before you can speculate about joint action between so-called creative producers and the masses whom they serve – which is highly desirable – what we have to deal with is that “artists, critics, translators, curators” and so on can hardly find any ground for unionizing and common action. Why? Because they feel more like free market entrepreneurs who capitalize their own symbolic and monetary position – and this is the true nature of this profession. One could easily change one cleaner for another one, or one guard with another and nothing will change, but if you change an artist and curator, or producer of a project, then things always transform themselves drastically. 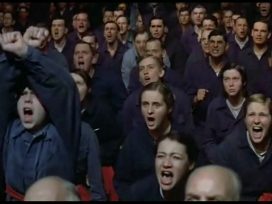 I am increasingly sceptical about imposing “old-school” demands for the struggle given the completely new type of production relations and particularly in the situation where the pressure of the reserved army of unemployed workers is so high. In order to change the production apparatus – and this is actually the main task of any change that we are talking about – we need to analyse more precisely what kind of possibilities we have at hand; and they are quite limited because, who is changing the “production apparatus” today? The neoliberals and the governments, of course. When you say that progressive institutions are limited in their imagination of change – you are right because they (like in politics) have to defend the residues of the golden age of social democracy with its clear idea of the production of proper, civic concerned, equal citizens. Today, no one needs people with a civic consciousness – they need consumers of cultural services. Efforts from below are not enough to change this idea – we should be concerned about the macro-power level. So I would suggest that the current task of micro-institutions could be developing precise material programs of cultural reform and education, formulating how they should function at this historical moment and for the future. Unfortunately we do not have any at hand, apart from pure democratic demands to get rid of censorship or corruption. And it looks like most of the good initiatives which you mentioned lack this strategic vision. They tactically operate by reacting against this or that case of injustice but they not introduce new visions. Do you agree? CA: I really like your suggestion of developing programs of cultural reform and education and I agree with your critique of the current alternatives to some degree. But I also see the situation in a more nuanced and hopeful way, within the development of the Left. Because creative producers have since the late 19th century, when the term art worker was used in the context of the Paris Commune, occupied a precarious and in-between position within the class stratification of society and our main task has been to critically reflect on this position so as to positively affect the growth of society itself. This chronology of reflection and resistance can be traced through the avant-garde movements, Dada, Constructivism, even Surrealism when artists and theorists opposed the notion of “art for art’s sake” and attempted to embrace a more proletarian identity, even though they widely disagreed about what exactly this meant. In this sense, we can conceptualize the historical development of engaged creative producers as a dialectical relationship between ourselves, and society; therefore, the transformation of one cannot occur independently of the other. The macro-level and the grassroots do not exist separated from one another. You are right to point out the difficulties and pitfalls in unionizing which exist not only today, but are historically grounded in the very definition of the term “art worker” as it emerged during the times of Courbet. Because on the one hand, it is about creation which seems to escape all quantifiable equations, but on the other hand, at a practical level, as workers, our labour entails engendering a sense of community, building infrastructure, and leveraging the power of art institutions, creating a space to create and to preserve the legacy of the struggles. Galleries, Museums, Art Institutes, Foundations etc., are built within an ideological and economic field which is unequal and uneven, but nonetheless, as institutions they are predicated on the labour of those creative producers that they manage. This includes artists, curators, producers but also other museum staff and the public that is likely to be sympathetic when we speak out. I am sceptical of a struggle that includes only some categories but not the others. I think we need to fight for that civic consciousness which binds us. DV: I agree to some extent, but how can we not limit solidarity to one cultural branch of economy – can you imagine a solidarity campaign between the creative Mac-user community and the exploited Chinese workers producing it? Through this example we realize how difficult it could be to organize. Also remember the historic troubles that industrial workers had with the traditional peasant community (which in the Soviet Union were overexploited and physically destroyed to a great extent). But we need to start somewhere and I feel like the first step has not even been taken – that is, understanding this new liminal subjectivity between entrepreneurship and wage labour as a class interest. But maybe neoliberalism has excelled itself and we are all part of its celebration of precarity, a condition which is actually a perfect symbol of true creativity and risk. Moreover, maybe all those creative workers are the real pioneers of neoliberal developments and they feel quite okay with this system, or find a way to survive in a more progressive or reactionary version of it? While being in the arts has always been about precarity and risk, neoliberalism is predicated on sheer inequality and exploitation and that is precisely at the core of our mission. Today, we have very limited autonomy between alternative or engaged art practices and the gallery-museum-magazine-art market neoliberalism, therefore we should tackle the whole of the system from within and without. I believe a multi-layered approach to putting pressure on institutions can be successful. To return to the AWC example, in 1970 their group formed an alliance with MoMA’s Staff Association and by working simultaneously from both inside and outside institutional boundaries, their coalition of art-activists and the staff members were able to establish PASTA in 1970. This was one of the first official unions of art workers in the United States. While this remains an important historical reference, I do not think that the “art workers” model is the only means by which to precipitate socio-political transformation. Rather, for me it embodies the idea of a collective, self-organized, politically concerned project that can lead to the transformation of a society. Art workers is a moniker that helps us recognize the possibility of such a transformation, in a historically conscious way. But you are right in pointing out the lack of a strategic vision that we face, and in my view this is also palpable in the current fragmentation of socially engaged, politically committed, activist practices. Categories such as activist art, interventionism, social practice, institutional critique, relational aesthetics etc. are not cohesive in their tactics or demands, neither are they affiliated with a broader social movement from which to formulate strategies of social transformation. Arguably, this is in itself symptomatic of the effects of neoliberal ideology: heightened individualism, entrepreneurship, privatization, a do-it-yourself attitude. As a counter-example, early twentieth century avant-garde movements found a common ground with the organized, revolutionary Left, while the post war, neo-avant-garde was brought together by the oppositional tactics of the New Left. Today’s art producers need more of that do-it-together spirit, a greater common interest and a more developed strategy and plan for transformation. Raluca Voinea is curator and art critic, co-editor of IDEA Arts + Society, The Long April: Texte despre arta and the director of www.tranzit.org/ in Bucharest. For more on PWB: precariousworkersbrigade.tumblr.com. Alex Farquharson, "Bureaux de change", Frieze Magazine 101 (September 2006).